Karen Gillan reveals she wants to make you cry in her final Doctor Who episode. Showrunner and head writer Steven Moffat‘s previously described the companions final episode as a “love letter to the Ponds”, When asked what that meant for her and Arthur Darvill‘s characters she revealed to The Big Issue: “That doesn’t necessarily mean death, but it will be pretty final. She also revealed how she would like Amy to be remembered, she said: “I love this girl… I want to see her go out in flames of glory, where we see her at her absolute best. 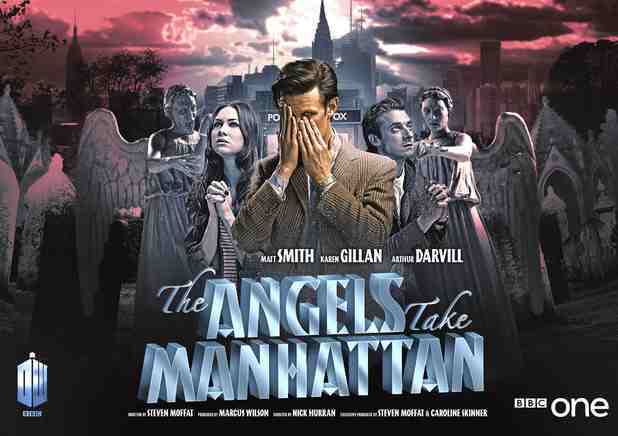 ‘Doctor Who’ Series 7 episode 5: The Angels Take Manhattan airs Saturday 29 September at 7.20pm – make sure you have the tissues ready for a tearful farewell.